We believe a better world is possible and we won't stop until it happens. Join us for a monthly conversation as we explore how to live out God’s call to pursue justice and put an end to extreme poverty. As we get into the swing of 2019, many are putting their new years resolutions to the test. But with gym memberships and diets often abandoned after a couple weeks, are they just a waste of time? On this episode we discuss how to make and commit to a new years resolution that will make a difference, not only for yourself, but the world too. Join Dan, Emma, Chuma and guests as they reflect on the year behind and look at the year ahead. 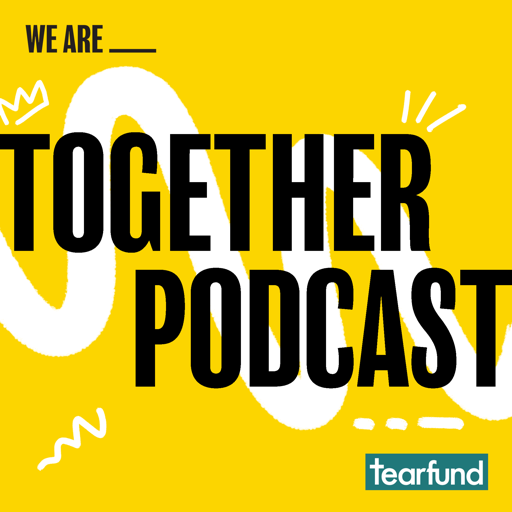 Much like the film of the same name, this episode takes you deeper and deeper into the story of how the Together Podcast came to be. Unlike the film, we’d rather you didn’t fall asleep and we hope it’s not as scary as Leonardo DiCaprio bursting through your lucid dreams. Join Dan, Emma and guests as they explore the potential of our generation and provide some helpful advice for your day-to-day pursuit of justice. © 2019 OwlTail All rights reserved. OwlTail only owns the podcast episode rankings. Copyright of underlying podcast content is owned by the publisher, not OwlTail. Audio is streamed directly from We Are Tearfund servers. Downloads goes directly to publisher.